People like thumping loud bikes. Modifications are done to reduce silencing. Prolonged exposure to loud noise can be harmful. Ride your bike following all recommendations. Motorcycles have long been a symbol of freedom, adventure and pride. Many bikers associate a sense of power with their motorbikes, and in this competition, louder torque equals more power.Most motorcycles leave the showroom floor at 80 decibels, which is equal to the normal city traffic, an approved limit for exhaust noise. They are then modified and the mufflers and silencers are removed to get that characteristic rumbling noise. The sound made by such “modified” bikes is much greater than the approved limit and goes as high as 125 decibels, which is comparable to a thunderclap. How does it affect the rider? As much as it is troublesome for the general public, it poses risk for the riders as well. Exposure to such high levels of noise does continuous damage to the person riding the bike. Exposure to very loud noises i.e. sounds that are too close or too high or last too long are considered harmful as they result in damage of hair cells in the inner ear causing noise induced hearing loss. The sound from these modified motorcycles is much greater than the normal range advised for humans. On an average, bikers ride around 1 to 2 hours at a time, which is a long time to be exposed to such loud noise. This can increase the chance of injury. One common health condition caused due to noise pollution is tinnitus. It is a ringing or buzzing sound in the ears without the presence of an actual external source of sound. Tinnitus is a result of prolonged exposure to loud noise. Persistent tinnitus is an irritating condition, with effects such as fatigue and depression seen in the patients. This is a condition in which excessive noise exposure diminishes actual hearing pattern to a lower level, causing a temporary decline in hearing ability. Most people have suffered from TTS in loud concert halls, machine sounds, etc. and it is not harmful, but continuous TTS exposure may result in permanent hearing loss. 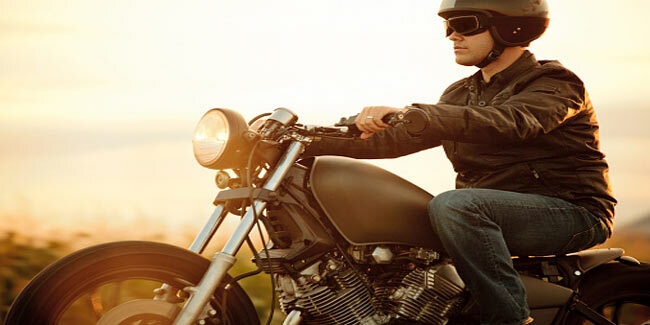 Other than noise-induced hearing loss, other problems such as sleeplessness, irregular heartbeat, noise-induced headaches, unexplained fatigue, etc are all symptoms exhibited by bikers due overexposure to loud noise of their motorbikes. Under the effect of loud noise, hormones such as cortisol, adrenaline, and noradrenaline become elevated. Over time, this can lead to high blood pressure, stroke and heart failure. Many studies show the correlation of NIHL with heart diseases. For male bikers, a drop in the male hormone testosterone may be a side-effect of stress caused due to long rides on their noisy motorbikes. Low levels of testosterone in turn cause psycho-social dysfunction and other chronic diseases. So, it is always best to restrict modification of the bike to louder torques.